YWCA Canberra’s Executive Management Team takes a whole-of-organisation perspective, making key decisions about strategic directions, accountability frameworks, organisational development, policy and quality assurance. The team comprises the Executive Director, Director of Community Services, Director of Children’s Services, and Director of Communication, Advocacy and Fundraising. Helen’s career has encompassed roles in media relations & corporate communications, policy, fundraising & partnerships across the transport, arts, regional development and social policy sectors. 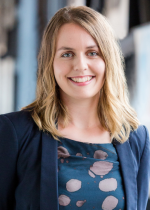 She joined the YWCA from the NRMA’s Corporate Affairs team, where she was responsible for leading the organisation’s media relations, stakeholder engagement and policy on behalf of the more than 1 million NRMA members who live in the ACT and regional NSW. Helen previously worked for the NSW Government as a senior adviser, including developing the state’s first arts and cultural policy. Prior to this, she worked in education, fundraising and community relations roles at Sydney Theatre Company and Riverside Theatre and was a board director of peak body Young People and the Arts Australia (2011-2013). While working at the Department of Environment, Helen received an Australia Day Medal for her work on the Indigenous Broadcasting and Media Sector Review. Helen has a long-standing commitment to action on gender equality and social justice for young people. 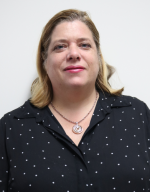 She was a member of the employment working group for NCOSS Women and a Reference Group member of the Institute of Public Administration Australia’s NSW Women’s Leadership Network, which aims to increase female representation and support women in public sector leadership roles. She was also a member of the NSW Ministerial Youth Advisory Council (2008-10), and has worked with NGOs such as ReachOut Australia on youth engagement and advocacy initiatives. 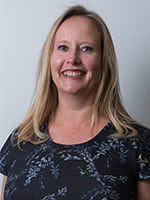 Helen commenced her career as a journalist with Fairfax Media, and freelanced as a digital journalist for several years. She has written on gender equality for a range of publications, and her play about sexual assault at Australian universities, In Loco Parentis, premiered at the Street Theatre as part of the Centenary of Canberra celebrations in 2013, receiving a Canberra Critics’ Circle Award. Helen holds a Bachelor of Arts (Hons.) and a Master of Strategic Public Relations from the University of Sydney. Bernadette’s career had been entirely in health administration before coming to YWCA Canberra. Starting as a young administration trainee in a Dublin hospital, Bernadette succeeded in a range of health administration roles, before landing the plum – if exceptionally demanding – job of Patient Services Manager at Calvary John James Hospital. On the way she picked up the Chairman of the Board’s Award for Services to Staff, Patience and VMOs – the first non-clinical staff member to be selected for the award. Her move to YWCA Canberra has seen Bernadette reignite her commitment to feminist issues such as the elimination of violence against women, gender equity in the workplace, and providing women with the resources they need to lead fulfilling lives. She sees providing high quality yet affordable child care for families as a cornerstone of reaching the goal of ‘Women Shaping our Communities’. She also brings to the role strong business acumen and excellent people management skills. Since coming to YWCA Canberra, Bernadette has overseen significant growth in our Children’s Services portfolio. When not balancing budgets, expanding our range of Children’s Services, or finding new ways to invest in her staff, Bernadette loves to bury herself in political biographies, historical fiction and English whodunnits. Cara has over twenty years’ management experience. For ten years, she has held senior positions in the not for profit community sector in regional NSW and the ACT. She has managed diverse portfolios encompassing community development, education and children, family, and youth. She has extensive senior management experience in Indigenous policy delivery, family law partnerships, domestic violence, employment, disability, and out of home care. She has experience in health, case management and information and referral services for homeless people. Cara holds a Master of Management with First Class Honours and post graduate qualifications in marketing. She holds an Advanced Diploma of Community Services Management, Certificate IV in Contracting and Procurement and certification as an Internal QMS Auditor (ISO 9001). Cara has undertaken significant professional development and training including counselling, respectful relationships, evidence based early intervention, person centred, trauma informed, strengths based practices and strategic case management. She has training in negotiation, mediation, conflict resolution and change management. Cara is interested in corporate governance, is a previous member of the Anglicare Western NSW governing Council and Western Primary Health Network Interim Community Council. 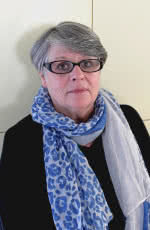 She has been involved in the Family Law Pathways Network and Families ACT Advisory Council. Cara undertook the Australian Institute of Company Directors’ Course in December 2016. She has expertise in the provision of strategic advice, planning, implementation and evaluation, leadership and the preparation of funding submissions. Cara is passionate about social justice and equity and working towards improving inclusion and community outcomes. Cara is a former Director of Client Services at Marymead and Manager of Client Services at the Australian National University. Originally from South Africa, Cara lived in Denmark and New Zealand prior to moving to Australia ten years ago. She is married to Dominic, who is an Associate Professor of political science and they have two children, Lucy who is twelve and Joey who is eight. Cara enjoys living in Canberra, spending time with her family and is actively involved in raising awareness about refugees. Cara’s research interest is in corporate social responsibility and aims to complete her PhD in this area in her spare time.